Simple, elegant, and timeless, our selection of affordable solitaire engagement rings has the perfect ring for any bride-to-be. 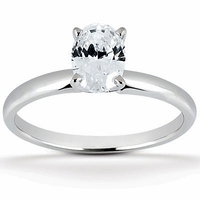 Known for our unparalleled quality in clarity enhanced diamond engagement rings, our knowledgeable and friendly staff at Skydell Designs can help you find the perfect solitaire engagement ring to pop the question with. 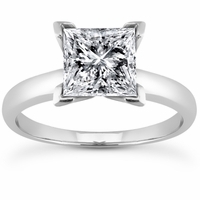 Whether you’re looking for a princess cut or a cushion cut diamond, we have the ideal ring for you to put on her left hand. 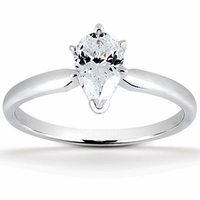 Finding the ideal cut diamond for your solitaire engagement ring is easy with Skydell Design’s talented staff. Established over 30 years ago, Skydell Design’s knowledge of diamonds, jewelry, and customer service help make your process as smooth as possible. 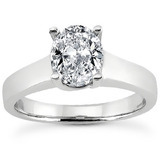 With wholesale prices that do not sacrificed quality, design, and beauty, these clarity enhanced diamond engagement rings have a lifetime guarantee. 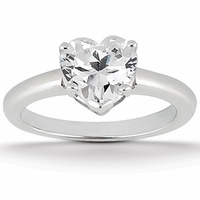 So when you’re shopping our selection at Skydell Design of affordable solitaire engagement rings, know that not only are you getting a bigger, more dazzling diamond for your money, but you’re also receiving the experience and knowledge you need to make one of the biggest decisions of your life.